1) I love what it can do. I love that it has a USB drive and expandable memory! I love that it plays flash video and that I can use it for CBC Online. It really has incredible customization options and can do far more than I can even comprehend. 2) I miss the simplicity. I have been a committed Apple user for the past 3 or 4 years and comfortable with their functionalities. When it comes to syncing my iPhone with my Macbook it's a piece of cake, especially when it comes to media transfer. There is nothing simple about my Android tablet and transferring data, especially media, has been a great pain. 3) I don't need it. I'm glad I paid $300 for an Android tablet rather than $600 for an iPad. It's a fun toy, but it's not a real useful tool. At least not yet. I am constantly finding more that it can do and I'm sure it will be something I will lean on heavily a year from now. If you were to take away either my iPhone or my laptop, I would have a hard time functioning effectively. If you take away my tablet, I hate to admit it but I might be even more productive. This has been my experience so far. I'm not giving up on it by any means and look forward to continuing to develop my understanding of the Android system. 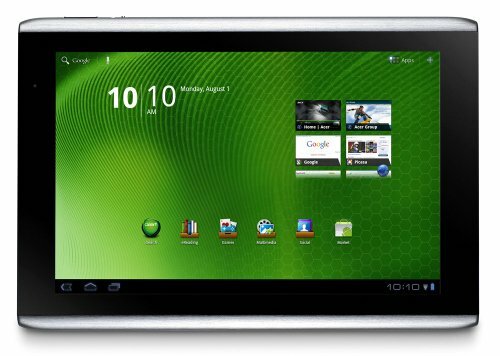 I would love to hear from your experiences with an Android or Apple tablet.